Sue Alexander | DRTV Talent. Direct response television talent. Female and male talent for your direct response tv campaigns. 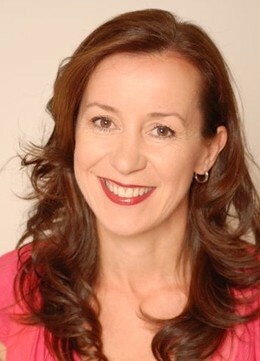 Sue has been a theatre and television actor and has worked extensively as a voice over artist for nearly two decades. You may have seen her in such TV shows as Stingers, Blue Heelers, Neighbours, GP, MDA, Marshall Law and the American mini series Blonde. 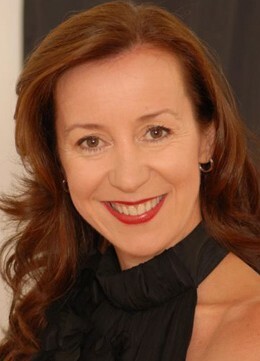 She has voiced many and varied TV campaigns for Coles, David Jones, Kmart, Jenny Craig, Priceline and Lincraft. Sue has been dubbed “The Queen of the Rail” by Melbourne train commuters. Up until recent times she has been the voice of Connex for all Melbourne Metro trains. If your mobile telephone provider is Telstra then you are sure to hear Sue’s voice on a daily basis, her Telstra Pre Paid Recharge announcements get over 80 million phone calls a year, thus creating “telephone numbers” in revenue for Telstra. In the past 5 years Sue has concentrated on her presenting work where she receives high praise from her peers for her warm, natural and professional manner. Having a background in acting Sue has the ability to take direction quickly and easily. If it’s warm and natural you require, she can do it. If it’s high energy and a ‘hard sell retail’ style you need, she can do that too, with flair! “Sue’s attention to detail means that we have been achieving major sales increases through our TV promotions and In-house demonstration DVD’s, thus further strengthening the Lincraft brand and image”. Jeff Croft, Marketing Manager, Lincraft Australia. Sue lives in bayside Melbourne with her husband and son. Aside from her love for her work, Sue loves to spend time with her family. They each have a passion for food, so cooking and entertaining is a big part of their lives. So too is her love of yoga and long power walks along the beach to keep her fit and healthy.